The Clean Money Revolution is a necessary book for those who aim to lead the charge for a healthier and happier planet. In response to a society based on consumerism, Joel Solomon’s The Clean Money Revolution offers a hopeful look at those who are trying, and often succeeding, to turn the economic system around. “Clean” has become a buzzword; we want clean energy, clean water, and clean food, all with sustainability and health in mind. Solomon connects such clean initiatives to a concept that most never think of: clean money. 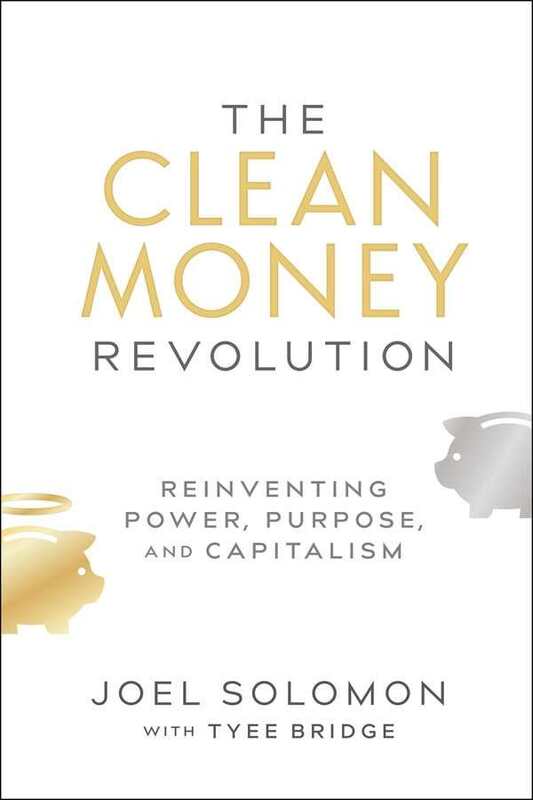 The Clean Money Revolution attacks the idea of money being morally neutral and encourages investors to act with their hearts instead of focusing on their bottom lines. Solomon, a venture capitalist and the founding member of a number of sustainable investment organizations, argues that when people invest in immoral or dangerous companies, they are compromising their values as well as putting the world at risk. With plenty of examples from both the dark and light sides of investing, the book makes a convincing case that the way many think about money is all wrong. The Clean Money Revolution makes its case without being preachy, accusatory, or overly pessimistic. Though it documents well how investment philosophy created a large problem in the economy, blame is not laid at the feet of any one group of people. The explanation of what has gone wrong and how to fix it is more a mix of pragmatic fact and refreshing optimism, ultimately striking a hopeful tone. Most of Solomon’s examples focus on young entrepreneurs who have either made or inherited large sums of money, placing its insights a bit out of the realm of practicality for the average reader. However, there are examples of how smaller investors can also shift their priorities and mindsets, and tips on how consumers can change their habits to support sustainable movements. Steeped in sobering reality, yet buoyed by real-world examples that encourage hope for a better future, The Clean Money Revolution is a necessary book for those who aim to lead the charge for a healthier and happier planet.